Modern There are 5 products. 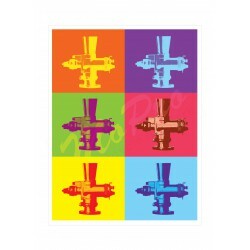 A pop art style using a Dell'orto carburetor as the subject of the poster. 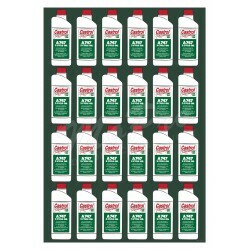 This poster is a digital print. 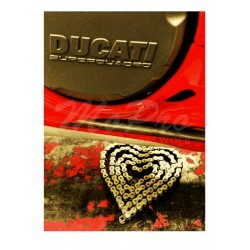 Print Details: Size: A3 - 297mm x 420mm (11.7" x 16.5"). High Quality 100% Lignin & acid free paper. Archival inks. This print is unframed and unmatted. Shipped in a tube. 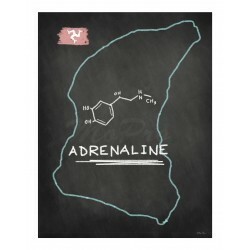 A map outline of the Isle of Man TT course with the adrenaline molecule drawn on a chalkboard. 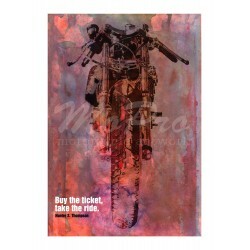 Print Details: Size: 279mm x 356mm (11" x 14") High Quality 100% Lignin & acid free paper. Archival inks. This print is unframed and unmatted. Shipped in a tube.